OMG! We are in love with this Ivory Tropical Racerback Maxi Dress. It features a tropical design, strappy back and flowy fit. This maxi dress is so pretty! Approx. Length (shoulder to bottom hem): -Small: 54" -Medium: 54.5" -Large: 55"
Nothing like getting a dress online and it fits you perfectly! I also love how long it is and I’m glad I went a size up! I'm 5'5, 135lbs and ordered a medium- defin too big for my and was too long. I returned it but they no longer had smalls. The dress itself was very pretty and loose fitting. The cup made my chest look a little pointy but I believe that's just because the dress was too big. 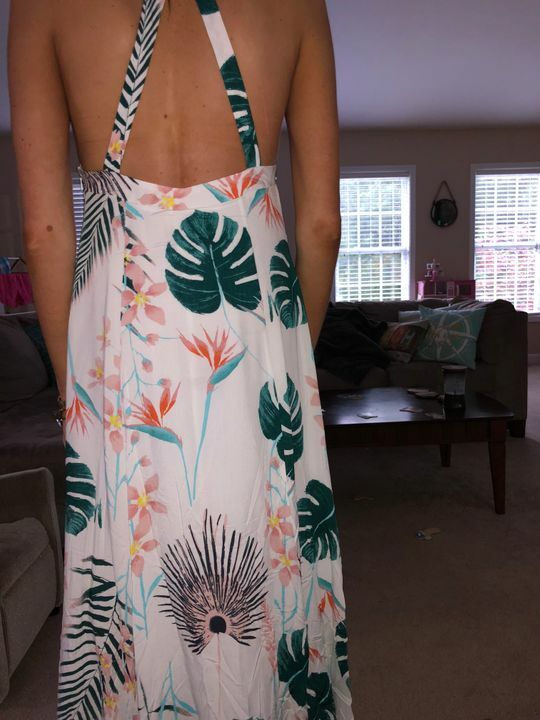 Great dress for summer and loved the back. Just wish they had a "short" version of their dresses since most of them tend to run long on someone my height and have to get them hemmed. 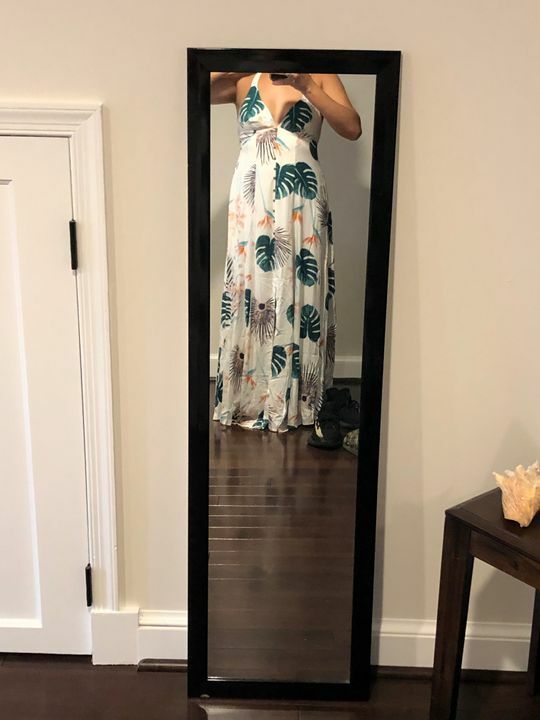 The dress is gorgeous! I originally ordered a medium but it was too big so I returned it and ordered a small, it came right away (I only had 3 days before my vacation) and fit beautifully! I got multiple compliments from strangers that day.